Almost all of my sewing time has been going to one big project. At least it's big for me. I would love to tell you what it is, but that would ruin the surprise. There are a few other non top secret projects that I am excited about as well, but unfortunately I am still waiting on fabric. I've tried and tried to organize my huge fabric stash but those stupid laws of physics always get in the way. You can't fit something with a large volume (no matter how you fold it) into a tiny space. The most obvious solution would be to sew only from my stash until I cut it down. 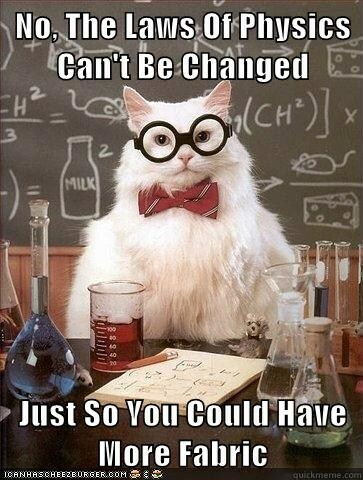 Yea, I'm not doing that, but I am only buying fabric when I have a plan for it. That means I am doing a lot of planning and then going crazy while I wait for the fabric to get here. 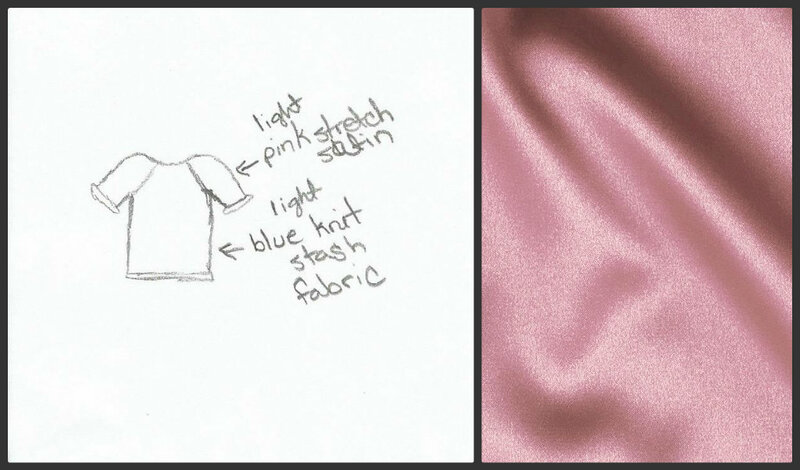 Fabric.com was having a great sale for 20% off any order over $40.00, so I sketched out my plans, picked my favorite and ordered a lot of fabric. All together the total came to $35.00 (after the sale) and I got 7 yards of fabric and a few notions. My planning also includes using up 2 yards of fabric from my stash. The raglan shirt below is going to for be for my daughter Ashley. Her style leans slightly in the direction of tomboy. She hates dresses and ruffles and lace, but she does love the color pink. Update: See the finished mixed fabric raglan t shirt and a tutorial here. Next up is a project for my son and husband that I am very excited about. 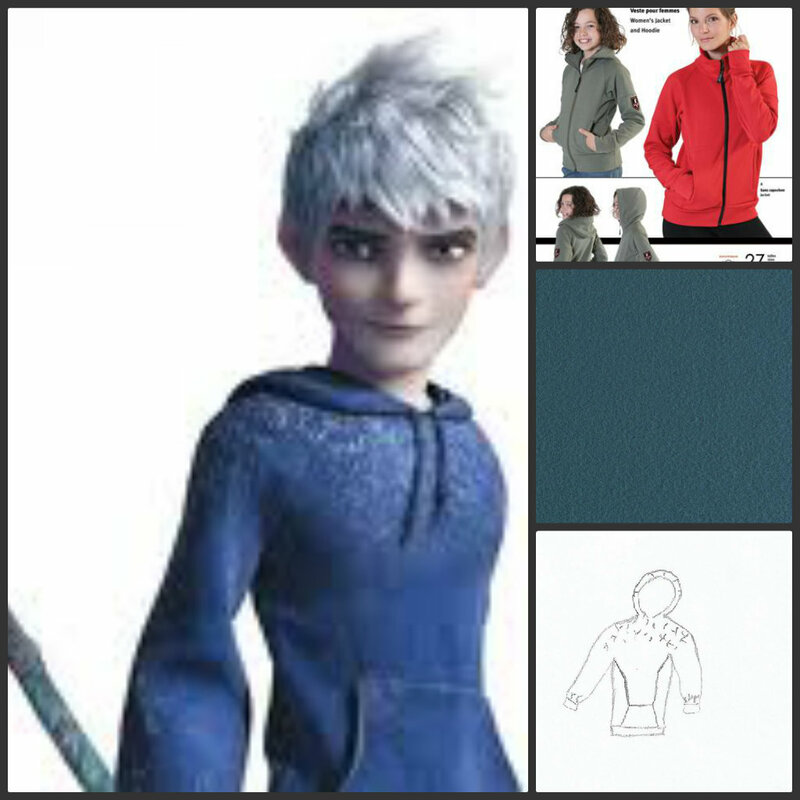 We watched Rise of the Guardians as a family and I studied Jack Frost's sweatshirt most of the time. For a cartoon it shows incredible details. You can even see the seam lines. And finally my ugly vintage pattern remixes. 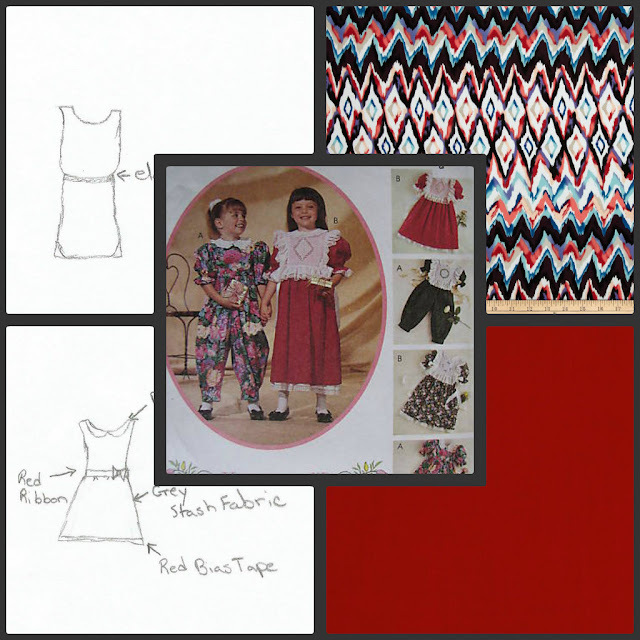 I am planning to get two spring dresses out of this pattern. It is the first on the list to be completed and I will give you all of the details when it's done but here is a peek at what's to come. Thanks so much for looking. Feel free to share your sewing to do list in the comments.